I really do feel famous here. Coming home is going to be an adjustment! Just priceless. The photos and the narrative. Love you. Oh, but you seem quite aware of yourself amidst all the celebrity. 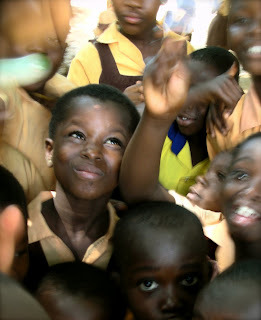 I hope you have the priceless opportunity to feel most like yourself there in Ghana--those are the moments to add to your reservoir for future access. You might end up being the General Relief Society President of the Church. You will be so prepared.